Rand Paul and his grandstanding today surely made points with the Tea Party pathetic fringe, but it proves to the rest of us why we can’t take any of them seriously. 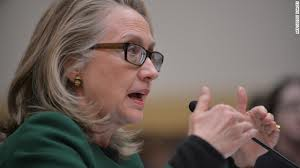 There were several Republican attacks launched at Hilary Clinton today during her testimony before Congress, but she handled them all with great aplomb. This was just another opportunity for right-wing conspiracy theorists to demonstrate their ignorance or their inability to participate in rational discourse. Republicans are more interested in making political points than taking steps to ensure that our Diplomats have the support and protection they need going forward. Read the full editorial by Juliet Lapidos at Taking Note, the Editorial Page Editor’s Blog of The New York Times. This entry was posted in Politics and tagged Benghazi, Hilary Clinton, Lybia on January 23, 2013 by speakingthosethings. Why Rand Paul will NEVER be president in one word…….wait for it…….IDIOT!!!! !